2013 was quite a year. 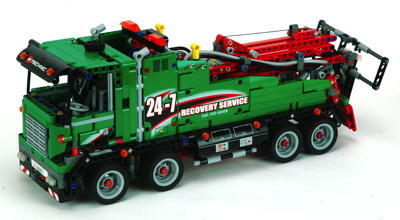 The 8421 Mobile Crane from 2005 had reached legendary status online but was very difficult and expensive to acquire in the secondary market. It was widely regarded to be the largest mobile crane possible for the retail market, and therefore it was assumed that it would never be topped. 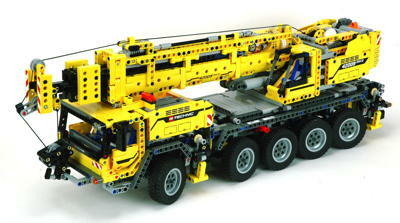 Enter 42009, the Mobile Crane MK II, with an additional axle, even more motorized functions, an even longer boom, and more than 2600 parts making it the largest set ever. You might imagine that the rest of the sets for the year would be dwarfed by comparison, but you'd be wrong. 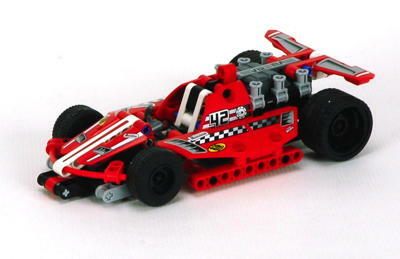 After a 7 year gap since the last big Formula 1 car, the huge 42000 Grand Prix Racer was released at the same scale. 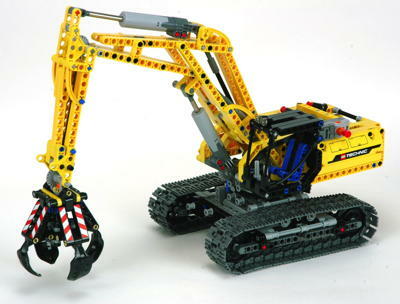 After only 3 years since the tremendously complex 8043 Excavator, the 42006 Excavator was released at the same scale but a much lower price point due to lack of motorization. The 42008 Service Truck was the first with motorization, pneumatics, and linear actuators, and the first set in (non lime) green in a very long time. There were also a pair of small models using pull-back motors, a throwback to older play sets which would be standard for low end sets in future years. 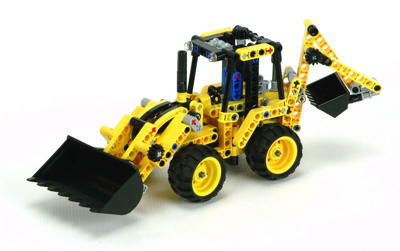 The most unusual thing of all in 2013 was the Technic Design Contest. 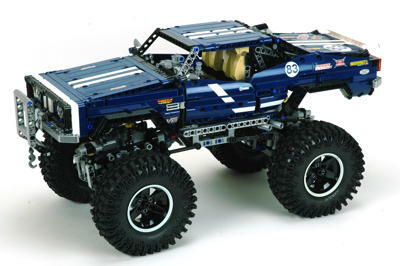 The Technic team published the rules for an online contest to customize a new body for the 9398 Crawler, and the winning design would be actually produced as a limited edition set with 10,000 copies. There were a thousands of entries which spanned the range from terrible to magnificent, including some that were not suitable for production. 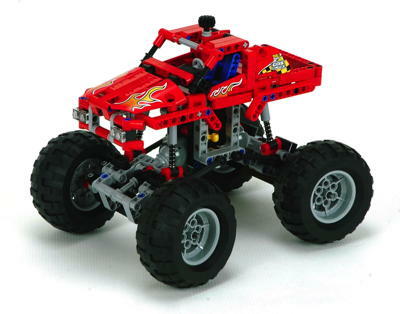 The winning design (41999) was based on an American muscle car concept and released with custom parts and colors. 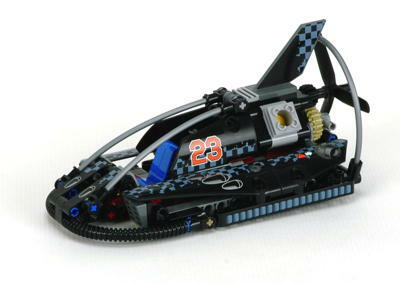 It was the most closely the fan community had ever been involved with the company design team. There were a number of new parts for the year, the most notable of which were new wheel hubs with reduced friction. 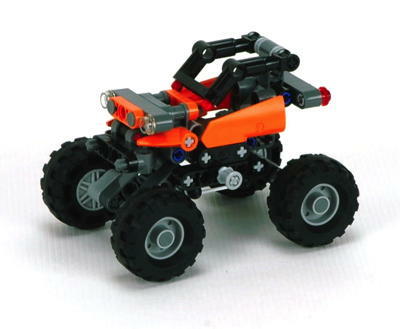 A new set of wheel hubs were released in a couple variations. One had steering arms with ball joints and the other did not. Both used a large bearing surface for the rotating hub with much lower friction than the old hubs, but also with more clearance and wobble. A new set of smooth curved panels (#21 & #22) were released in a size which made it possible for even the smallest sets to use them. The curved 3x11 panel was supplemented with a new version that had additional pin holes. This was apparently needed to add strength to the boom of the 42009 crane. The old panel remained in production. The 8 tooth pinion gear which had been in production since 1977 was updated with a reinfornced version. The old version had been designed to be compatible with studded parts and therefore had a small diameter sleeve that fit between the studs of a plate. This older version did not work very well with studless beams because it dropped into the counterbore of the holes and therefore did not sit flush. The new stronger version solved this problem. The new version is always dark gray. 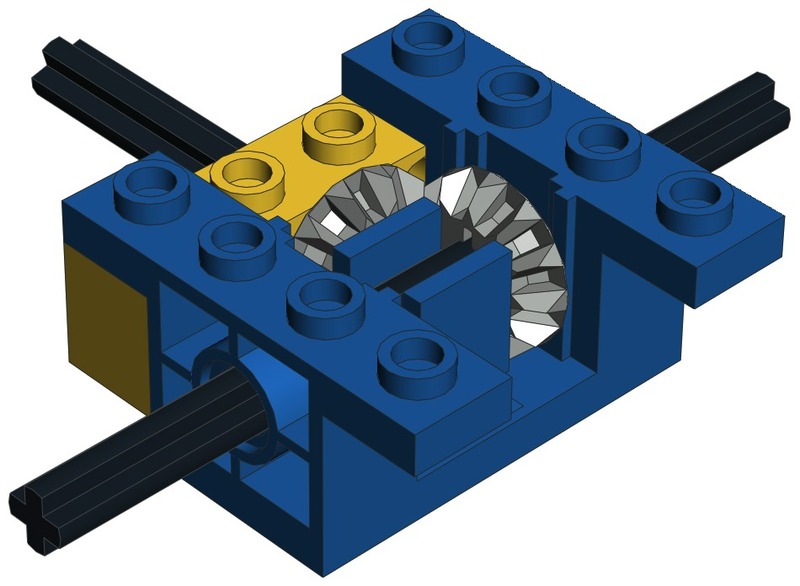 A second version of the 8 tooth pinion was released with an oversized axle bore to allow it to slide smoothly on an axle. This allowed powered rotation with a translating axle and was critical for the outriggers of 42009. The frictionless version was always red. A new version of the thin 5L liftarm was released with axle hole at the ends instead of pin holes. 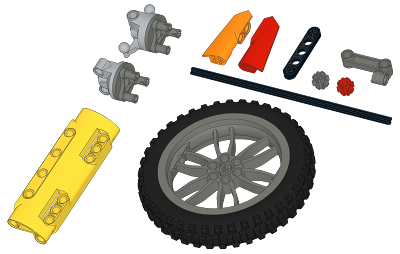 The range of Technic axles was increased to include a 16L in black. 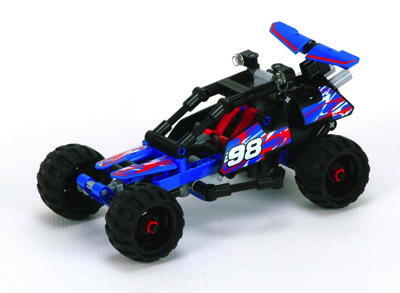 This part had previously been available outside the Technic line in white. Finally, an L-shaped pin connector was made available, although it was mostly used outside the Technic line. 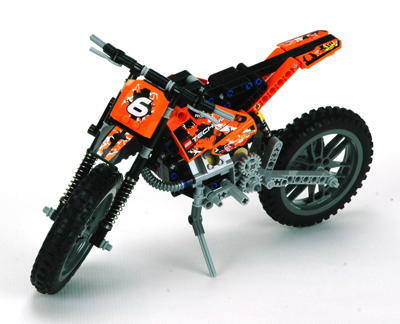 A new knobby off-road tire was released for the motorcycle wheel from 2010.